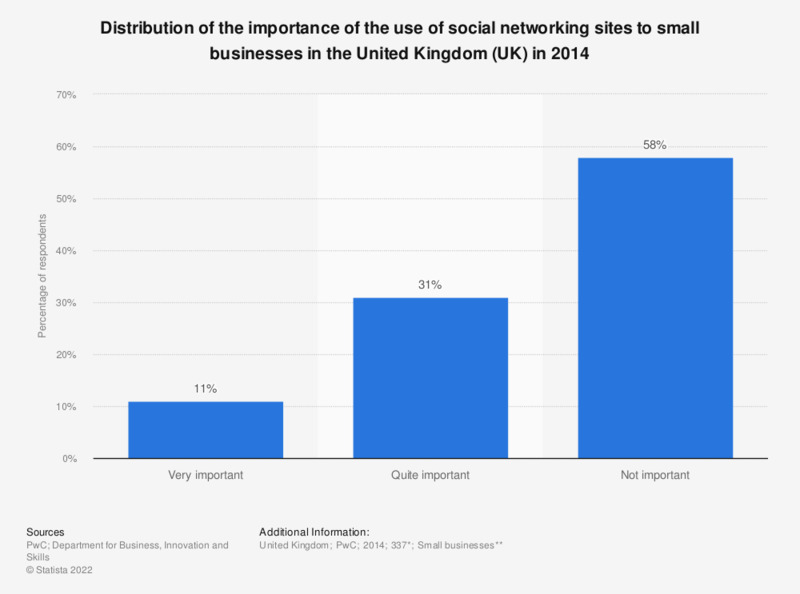 This statistic shows distribution of the importance small businesses attribute to the use of social networking sites in the United Kingdom (UK) in 2014. From the respondents, 31 percent consider the use of social networking sites to be quite important to their business. * In total, there were 1,125 respondents. Respondents came from all industry sectors. Approximately a third of the respondents were IT professionals, and the remainder were business managers, executives, non-executive directors. Do you do these activities on social networking websites?